I had to talk about the recent elections (last week) in Kenya. They were peaceful, classy, and above all democratic (i.e. the choice was made by the people, for the people). 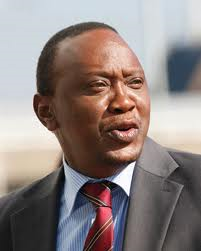 In only one round, Uhuru Kenyatta defeated the ‘machine’-chosen guy, i.e. Raila Odinga (Obama’s cousin). It was such an important victory for Kenya. Kenyans actually worked very hard not to have a repeat of 2007-2008 violence, and succeeded. It was a true example of perseverance on the part of Kenyans who realized that they were making their choice, not the west… and it did not matter that their chosen candidate had been summoned to the International Criminal Court (ICC) in the Hague, because they had chosen him. I am proud of the Kenyans for showing such class in the election of Kenyatta. As usual, the poor loser Odinga wants to take Kenya to brink of demolition (as in 2007-2008, by making it about tribes) by filing at the Supreme court, but it would not matter, because the people have spoken! Long live Kenya! Check out the Daily Nation, Standard Media, The Star on the victory of Uhuru Kenyatta and the road ahead.